The leaves are just beginning to turn on the trees, the mornings have a fresh nip in the air, and the evenings are drawing in. Yes, it’s that time of the year when I look forward to those mythical long winter evenings in front of the fire where I’ll catch up on all that reading and writing – sigh! It’s been a good week for short stories. With the BBC National Short Story award shortlist having been announced, the five shortlisted stories have been broadcast on Radio 4 over the week, and if you missed them they are also available on iPlayer: http://www.bbc.co.uk/programmes/articles/10SBcy1Gm63kPYLM5FKrF9n/the-bbc-national-short-story-award-shortlist-2016 Particularly good if (given we’ve not reached those long winter evenings), you can’t yet afford to settle down to read. I’m off to listen while I catch up with some housework! One of the best aspects of this magazine is the feedback from readers – and in this issue, editor David Howarth, mentions that he’s had to allocate an extra page to accommodate all the reader comments submitted. I’m a big fan of Scribble – not only because it’s a great platform for short story writers (both those new to writing, and the more experienced), but because David takes the time to give feedback on unsuccessful submissions. It’s also very good value at £15 for an annual subscription (which includes free story submissions and competition entries). I was lucky enough to receive a subscription to Popshot magazine for Christmas, and I’ve been really impressed so far. 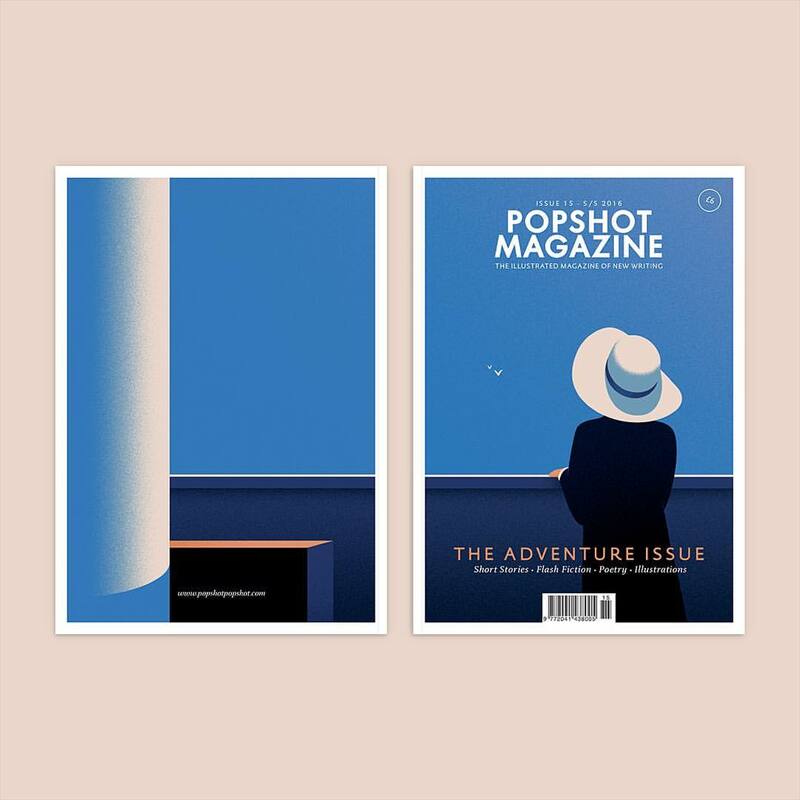 Popshot is devoted to literary fiction and poetry, but if you’ve seen an issue, you’ll know it’s beautifully designed and illustrated so there are also submission opportunities if you are a budding artist. There have been 15 issues released so far (subscribers get three issues a year – I’ve had “The Curious Issue” and “The Adventure Issue”) and submissions are now open for their 16th issue, on the theme of “hope”. For more info, click here. You have until 24th July to submit. If you’re interested in submitting, you can also get an online edition (including a free preview) but I have to say, the print magazine is so gorgeous (and reasonably priced – £6 for an individual issue, £10 for a year’s subscription) that I still think a real, tangible copy is the best! Sadly, Jo Derrick has decided to bring to an end her literary short story magazine for women, The Yellow Room. The magazine had been in difficulty for a while, with Jo fighting against rising printing and postage costs, but recently there had been a boost from several well-supported competitions, and the future had looked a little more hopeful. I fear she may be right, though I rather hope she isn’t entirely. I love writing websites, and I think online platforms are a great way for the short story writer to get their work read by a large audience. But for all the advantages of the whizzy interactive website, there is something special about holding a physical copy of a magazine – and something special about seeing your work on the printed page as opposed to a virtual one. I wish Jo well concentrating on her own writing now, and thank her for all her hard work on The Yellow Room since 2008. And if you’re a writer, in particular a short story writer, I urge you to support a wide range of magazines – both of the ‘e’ and print variety. Unsupported, they will die – and with each death, our range of possible outlets becomes a little smaller. The Autumn issue of Park Publications’ Scribble magazine is out now – encompassing a wide range of genres, styles and themes. Editor David Howarth is keen to publish stories on any subject as long as there’s an intriguing plot and believable, engaging characters so this is a good market for slightly more quirky stories that might be not be suitable for the mainstream magazines. Payment is in vouchers which can be used towards future entry fees or an annual subscription, but the three best stories (as voted for by the subscribers) receive a cash prize. Far more important though is the opportunity to receive feedback from real readers via the letters page which is always extensive. My plug for this great little magazine is not wholly altruistic, I have to admit – this issue contains one of my stories ‘Penny For the Guy’ – a rather tongue in cheek autumnal tale! Oh, and if you do subscribe – don’t forget to vote! Your feedback is invaluable. Forwarned by the lovely people at The Friend that my story ‘The Busy Bee’ would be appearing in Special No 76 out today, I popped out to see if I could get a copy this afternoon. Imagine my delight to discover that Leah, my heroine, is on the front cover. And, gosh, isn’t she glamorous! It’s always interesting – and slightly unnerving! – to see how the illustrators have chosen to depict your characters, but I’m suitably awed by the front cover. Thanks to all at The Friend. I see I’m in good company – with a story from the prolific Wendy Clarke fronting the Special (Wendy also has one in the weekly PF magazine too – now Wendy, that’s just greedy!). With issue 9 of The Yellow Room (http://www.theyellowroom-magazine.co.uk/www.theyellowroom-magazine.co.uk/Latest_News.html ) having arrived on Monday, I’ve got short stories galore to catch up with – so I shall sign off now – I’ve got some reading to do. The latest issue of “Scribble” magazine arrived in the post this week, and editor David Howarth writes in his From the Editor’s Desk… piece that this is the time of year when submissions generally tend to slow down. As he puts it, “there are obviously alternative attractions during the summer months so writing sometimes takes second place”. And I believe he is right. Whilst I’m still putting pen to paper (or more usually, fingertips to keyboard), my output is not quite as prolific as it might be in the winter months. More importantly, it is not as focused. My submissions to magazines have tailed off recently, and the stories I have sent are not necessarily ‘hot off the press’ as it were, but re-workings of old beginnings, or old ideas. And though I’ve still been taking time to keep up with other blogs, I’ve not written much here for ages. So, what is distracting me? Yes, the better weather means it’s much more tempting to be in the veg garden, or with the horses. And there’s lots of work to be done outside – we’re hoping to make our own hay for the first time this year, which might not sound exciting, but believe me, I can’t wait! I have to admit though, that there’s a part of me which thinks all these outside tasks are a bit of a displacement activity. I’ve been in a bit of a rut with writing over the last few weeks. A few rejections in a row. Not really having settled to any big writing projects. General feelings of self-doubt. You know the type of thing. So, it was with incredulity that I read Shirley Blair’s email this evening accepting one of my stories for People’s Friend. Honestly, I had to read the message several times over to believe that it was an acceptance (I’d been very doubtful about that particularly story’s suitability!). Typically, Shirley’s message was upbeat and enthusiastic – the perfect tonic to my writing gloom! So big thank you to Shirley. As I noted down the acceptance in my “Submissions” book, I realised I’ve hardly any other stories “out there” still awaiting a decision. It’s time to get down to some serious writing work. My husband (who is now all too well aware of the significance of the dreaded brown-envelope-with-a-fold-and-familiar-handwriting) was standing by ready with tea and sympathy and was slightly perplexed when I turned out to be delighted with my mail! But the tea was nice anyway! My copy of the Spring 2013 issue of Scribble magazine arrived in the post this morning. Sixteen short stories, plus an article on writing, plus details of forthcoming competitions, plus feedback and comments on all the stories from the previous issue – all in eighty-odd pages. It’s a great magazine for short story writers – not only because of the feedback element (which personally I think is priceless) but also because it allows you to explore a wider range of genres, themes and subject matter than you might if you confine yourself to the women’s magazine market. I’ve not yet managed to get a story of my own in Scribble (though I did manage one in each of its now deceased sister publications, Debut and Countryside Tales), but I keep trying. In the meantime, I love reading all the other stories, admiring engaging narrative voices, and pithy descriptions, and continuing to be amazed by the diverse subject matter on which people choose to write. Scribble appears quarterly (next issue is out in June) – each current issue is £4.50, but back issues are free, and an annual subscriptions is only £15, additionally allowing you free entry to all Park Publications’ competitions. A bargain, I think.